Providing PRO BONO (free) licensed investigations NATIONWIDE when possible, for anyone who has been involved with DSS CPS, to support and advocate PARENTAL RIGHTS and Civil Rights lawsuits, on a nationwide basis. 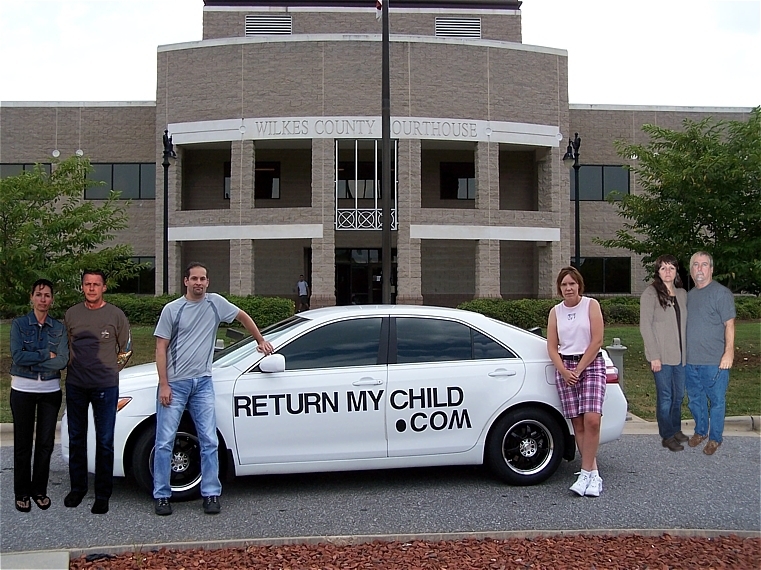 If Your Case Was in Wilkes County, NC, it's automatically FREE. We aide and assist parents by expertly building a defense, while applying legal pressure, consequences, and exposure on those whom are involved in corruption and responsible for violating PARENTAL RIGHTS. We Put an End to DSS/CPS & Court Corruption, legally holding those in violation of Parental Rights ACCOUNTABLE. Our Team INVESTIGATES & FIGHTS for Your PARENTAL RIGHTS & puts a STOP & END to Court/Judicial, DSS, CPS, Fraud and Corruption. "You helped me very much, in fact, much more than I expected towards getting my children back." Amanda Holston, parent of three children. Large Monetary Settlements Are Also Reached. Latest Updates on Politics, Laws, & What YOU CAN DO TO HELP. Get Help With Your Case NOW. Please begin by having Inv. Jon Scott do a comprehensive assessment of your case. The fee is only $75.00 and is 100% REFUNDABLE IF NOT FULLY SATISFIED (backed by Paypal Consumer Fraud Protection). ​CASH REWARD For CPS Whistle-blowers! CASH REWARDS WILL BE DISPERSED to any and all U.S. State Department Child Protective Services Employee (or anyone associated such as Guardian Ad Litems, Psychologists/Counselors, Doctors, Court Appointed Attorneys, and others), who/whom confidentially inform to us of any information directly leading to an arrest, conviction, and winning civil lawsuit (or that leads to a winning lawsuit or settlement regardless if there are any charges or convictions), against any U.S. State Department of Social Services - Child Protective Services and/or employee thereof (including himself or herself). CPS Employee and affiliate Whistle-blowers will always be highly respected, honored, and compensated at least fifteen percent (15%) of any and all gross amounts due (contingent) to us, collected from any winning lawsuit that is won (per our client service agreements), for doing the right thing, and helping to put an end to CPS corruption, wilful false reporting, willful deceptions, wilful case manipulating, wilful case-plan completion hindering, wilful rights violations, and many other fraudulent acts within their publicly trusted authorities and state licensed activities. Your help as a CPS Employee or affiliate Whistle-blower can make an incredible difference in this great Country, and could be the very exact reason why you've chosen this career position. Just as I've chosen to become the highest possibly trained and educated investigator for professional licensed investigative practice, from the day I began and then graduated college in the 90s', then went on for more University studies, I never knew I would be in this position where I had to experience true willful CPS and judicial corruption for myself, before realizing it was my calling to help very many other parents out there, just like me, in getting the best help and justice they need when dealing with the same CPS corruption, that I have personally. Likewise, IF you are finally fully sick of seeing, hearing, and being forced to be a part of day-to-day, week-to-week, and annual CPS willful criminal acts and rights violations, it is our mission that your 100% confidential information is used to help you make a much better life for yourself (any many others). One that you can actually be very proud of and not littered with the haunting reckless and careless deeds of your co-employee staff members, supervisors, directors, and anyone else whom you know has negatively affected a CPS case that you are aware of. YOU, are welcome to use our Support email address which is normally reserved for legally retaining clients only.